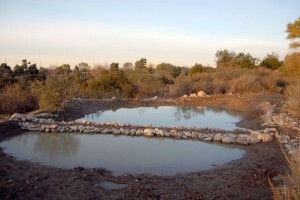 Check out the BFS Exhibit at Honnold Library! If you have a few minutes, check out the BFS exhibit now on display in the Honnold Library (just inside the main north entrance). 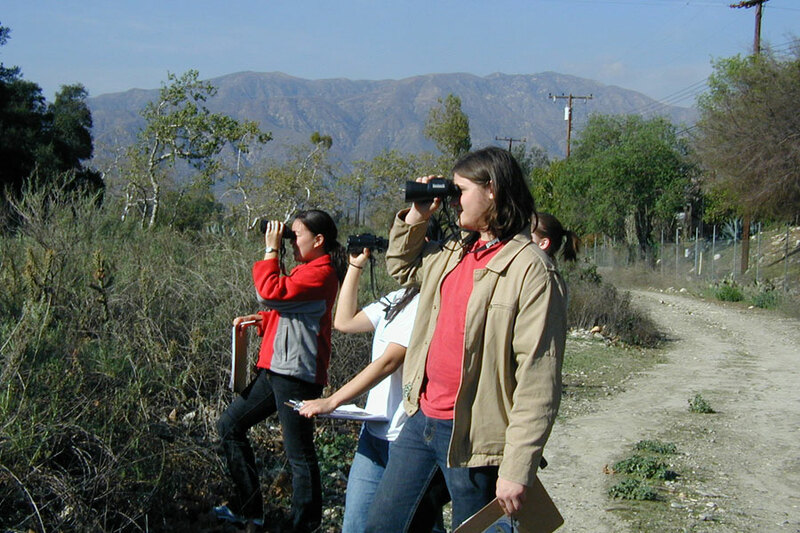 The exhibit, which is guest-curated by BFS Interim Manager Jennifer Gee, Rancho Santa Ana Herbarium Workroom Manager Erika Gardner, and students Claire Pershan (Pomona ’15) and Zoe Jacob (Scripps ’15), will run at least through graduation weekend, so it’s a great stop for visiting families. 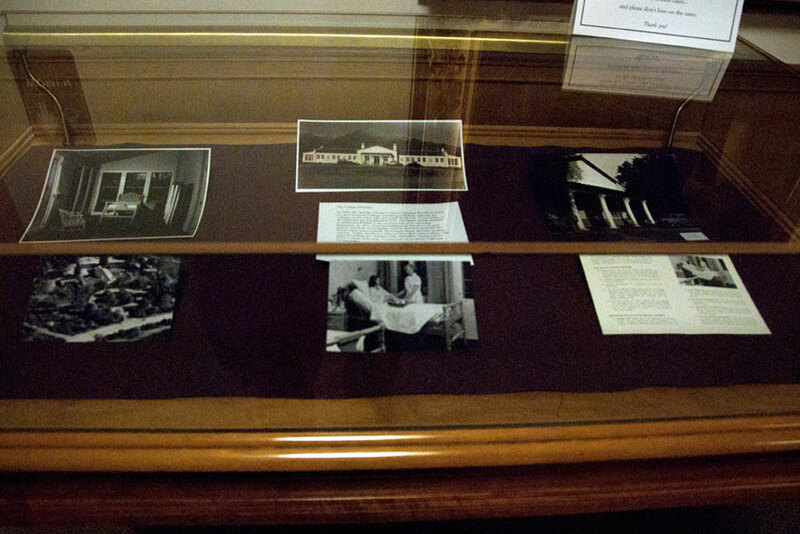 The exhibit features historic materials from the Claremont Colleges Library Special Collections, including maps that date back to 1897, materials and photos from Robert J. Bernard, and photos of the Claremont Colleges Infirmary when it was still in service. Photos of the infirmary in use. ©Nancy Hamlett. 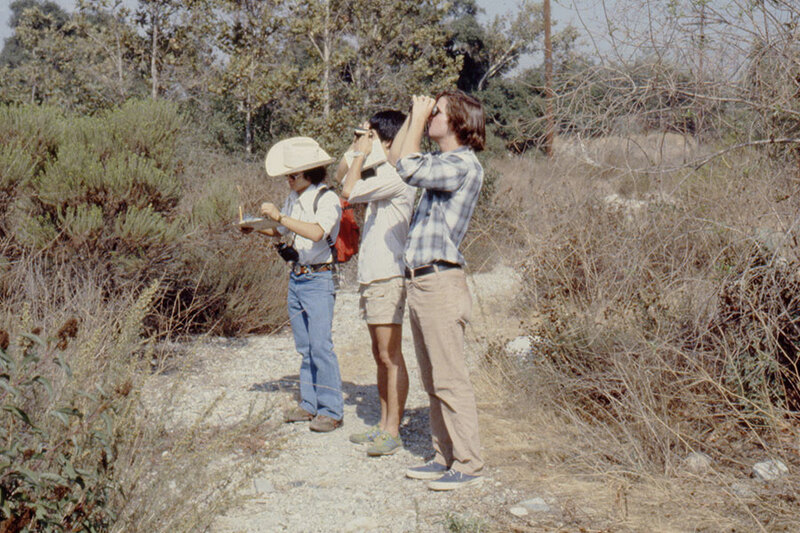 Pomona College students Roy Barnes, Roger Koide, and Mike Fitts birdwatching at the BFS, October 4, 1978. ©Larry Oglesby. Pomona College students birdwatching in Biology 41E – Introductory Ecology & Evolutionary Biology with Laboratory, Spring 2006. ©Nina Karnovsky. A newly constructed vernal pool west of the pHake Lake berm photographed March 30, 1981. 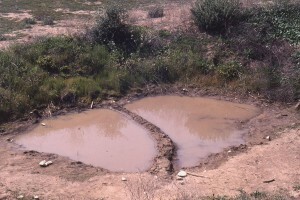 The pool is divided for an experiment with mosquito fish (Gambusia affinis). ©Larry Oglesby. 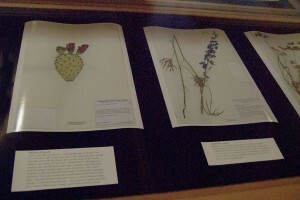 Other sections of the exhibit include collecting equipment and its uses and publications resulting from student work at the BFS. 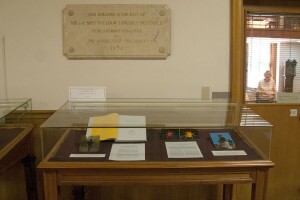 A display with photos of Dee Ashbury and Grace Wu with their theses and publications. ©Nancy Hamlett. Lastly, the importance of voucher specimens is highlighted with images of BFS herbarium specimens from Rancho Santa Ana Botanic Garden and lichen specimens from the University of California Riverside Herbarium. Rancho Santa Ana Botanic Garden herbarium specimens of Prickly-Pear (Opuntia littoralis) and Parry’s Larkspur (Delphinium parryi) collected at the BFS. 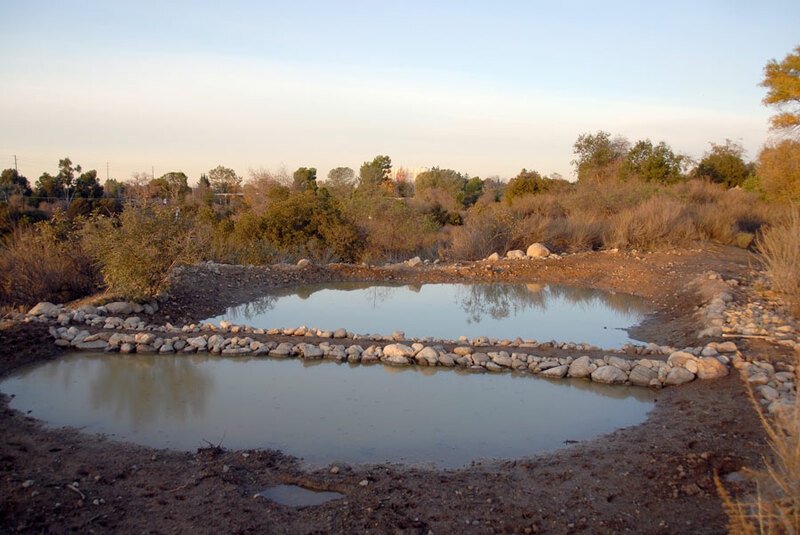 ©Nancy Hamlett. Please do stop by if you get a chance!